The Prep Wife: Ready or Not. Not! I had one of those strange mornings and I am not quite sure how I made it to work. I woke up wishing I were still asleep. Although I'm a morning person, I don't like to be forced to wake up so most of my days start with me wanting to stay in bed. However, this morning was different. I felt like I was in a strange dream. I felt like a zombie (they seem to be in style now). 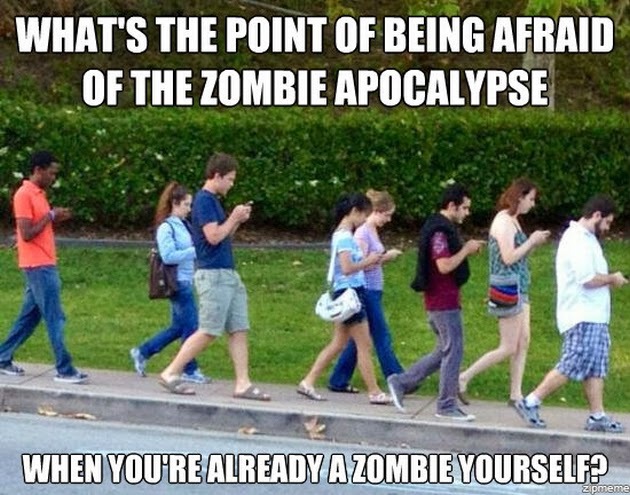 I bet zombies are in style because we have all become zombies in some way (not in the scary, brain-eating way though). Think about it. Most of us spend our days and nights in front of screens: computer screens, TV screens, phone screens, iPad screens. We concentrate so much on what is going on in these screens and become disconnected from what is really going on. We are so active in the virtual world and are zombie-like in the real world. Anyway, enough about zombies. With my eyes still almost completely closed, I got out of bed and put on my slippers. "Oh... they are on the wrong foot." No tiny amount of care or energy was available to put them on correctly. I dragged myself left and right to get ready and took a look outside. "Oh, how not-so-wonderful." The frost that had taken over my windows and car made me want to stay in bed even more. Nonetheless, I had to start my day so continued to get ready. Note that Mr. A was sleeping and I had to get ready in the dark. I get dressed and realize I wore my sweater inside out. I couldn't ignore this like I did with the slippers. So I am finally wearing everything the way I should be, I put on my (winter) jacket and am ready to tackle the day! Just as I was stepping out, I decided to get a fruit from the fridge to take to work with me. Instead of going to the fridge, for some reason I walked past the kitchen and ended up in the bathroom and started thinking "what am I doing here?" Not quite as ready as I thought to tackle the day. 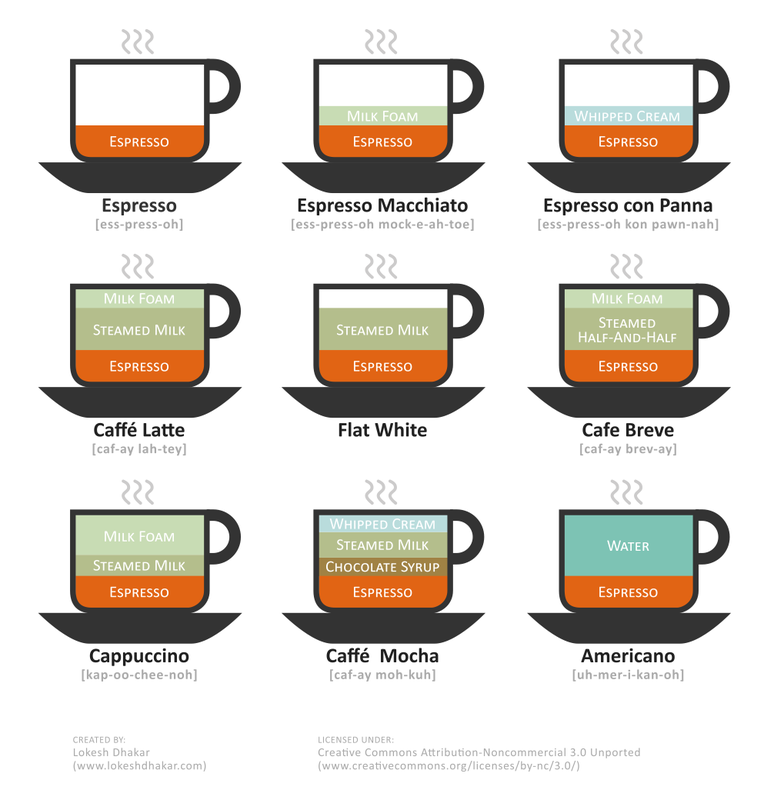 An extra coffee for me today! 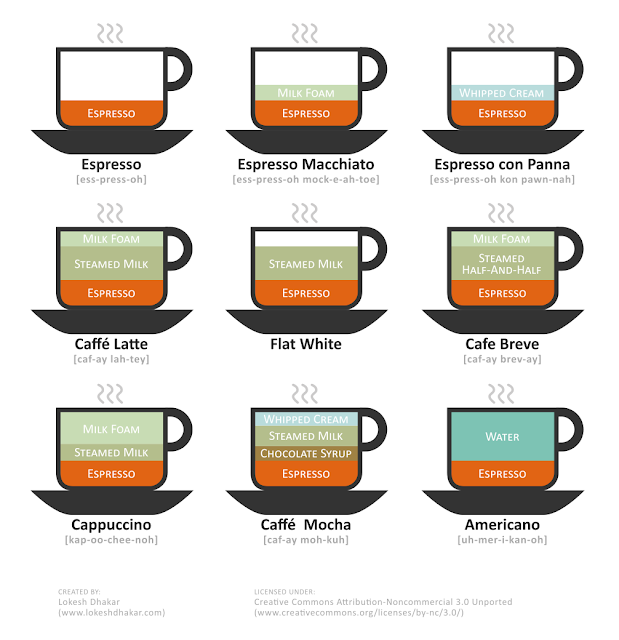 Next time you want coffee, here's a little chart that might come in handy.